Twitter is not only a micro-blogging website but a great marketing tool. You only need to know how to get most of it. Unlike other social networking website, Twitter lets you reach to more number of people. By tweeting about your product with relevant hashtag will help you to increase visibility. You can also send direct messages to your followers to let them know about your product. Twitter is used for marketing, so there are many tools available which helps us increase productivity on Twitter. In this post, I am adding 3 best tools which helps in sending direct messages to Twitter followers in bulk. So, you do not need to go and send messages individually. These are three free and best Twitter tools to send bulk direct messages to your Twitter followers. SocialOopmh is a nice Twitter tool. You can use this to send automatic direct messages in bulk. Not only just DM, you can also use it to schedule tweets, get new followers, automatic follow back and more. So, start your Twitter marketing with these tools. This tool is free if you go with basic plan. But there is also a professional plan with lot more features. You can check the professional plan features and see if you can afford. Using this tool with professional plan will surely help you a lot. 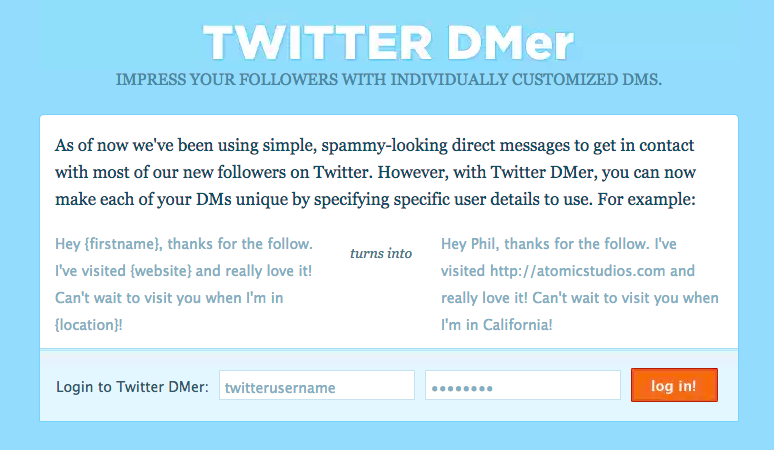 Twitter DMr is a simple tool just to send bulk direct messages. By using shortcode for names and location, you can personalize the tweet to impress your followers. This tool does not offer more features. But it is good if you just need a tool to send direct messages in bulk. Tweetmanager is also a good Twitter tool which offers many features. You can use it to automatic direct messages to all your followers. It can also be used to schedule tweets, set automatic retweet, auto follow, feed to tweet and various more. Design of the tool is not so impressive, but it works really great. 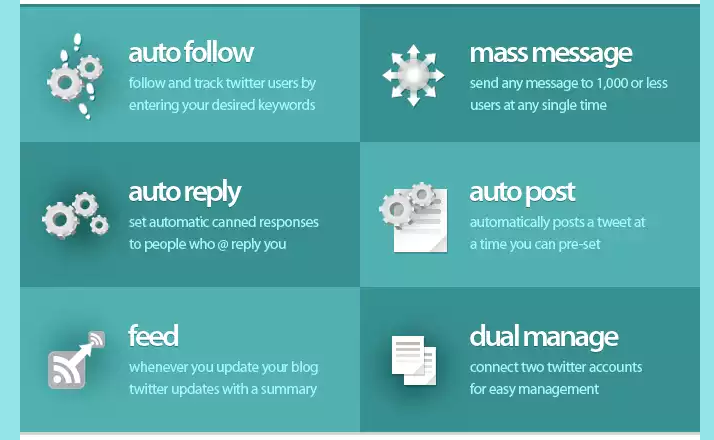 These are the three tools which you can use to send automatic direct messages to all your followers in bulk. There are many other similar Twitter tools that you can try if you need something similar.